Hi there! 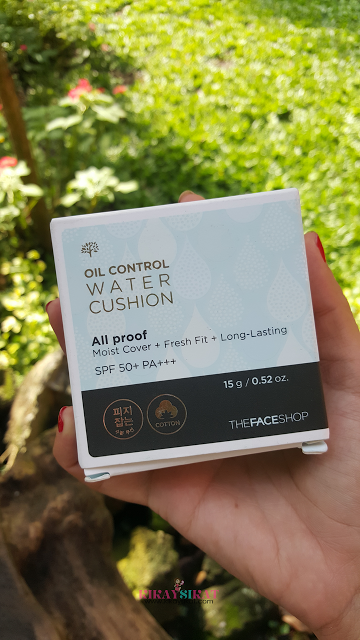 Nice to see you on my blog 🙂 I did a mini-haul of Canmake Cosmetics a few months ago and decided to write about the products I fell in love with. 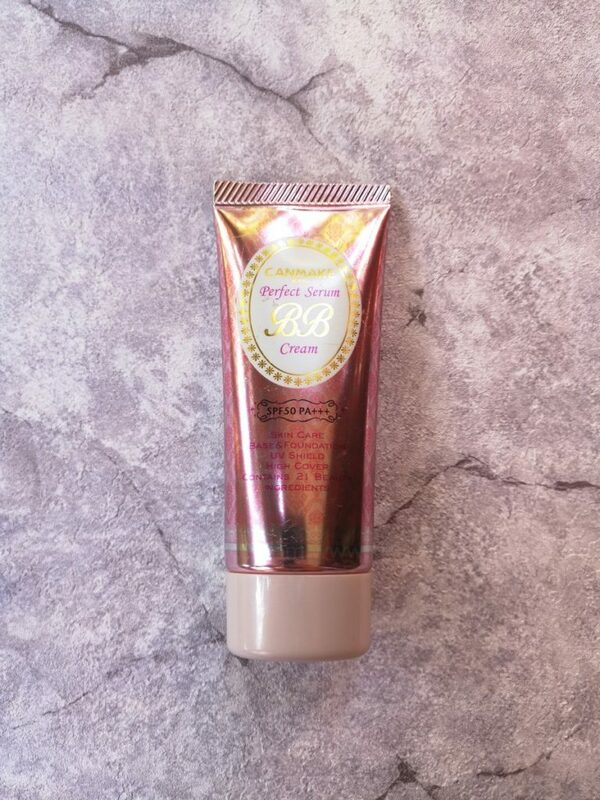 Today we’ll be reviewing Canmake Perfect Serum BB Cream in 02 Natural! This is for the folks who are new to makeup 🙂 If you’re already familiar feel free to skip this part! BB cream is short for ‘blemish balm’ cream. 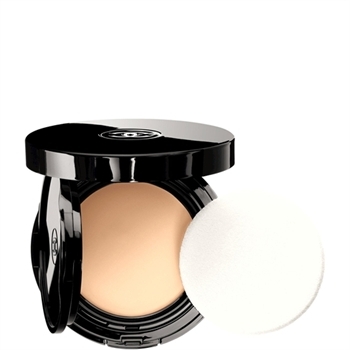 It’s a versatile combination of products such as moisturiser, primer, SPF, foundation, skin treatment, and concealer. It was originally developed in Germany as an all-in-1 cream to be used by patient’s post-laser treatment for protection, coverage, and hydration. 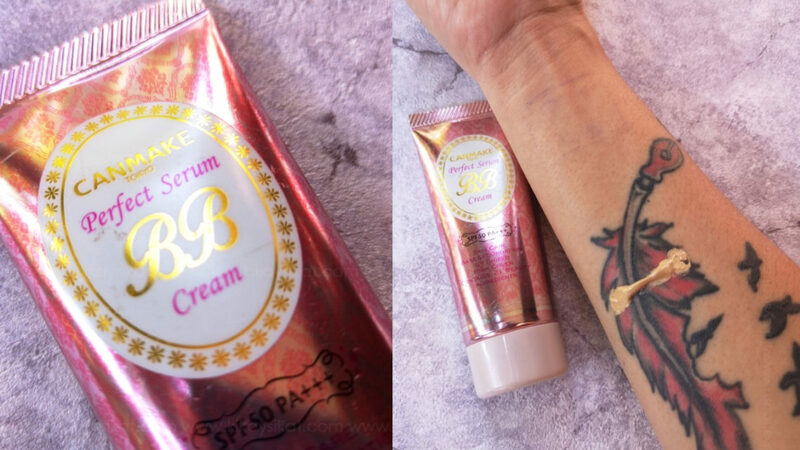 A BB cream born from beauty serum. You can care for your skin just by applying it. SPF 50 & PA+++, with a formulation that’s gentle on your skin. 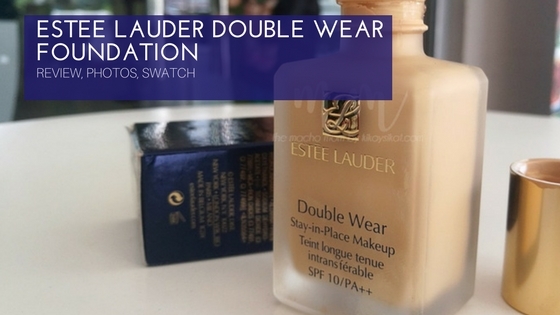 A skincare product that reduces the effect of the sun’s rays and acts as a foundation with sheer coverage. Lately I’ve been reaching for this BB Cream more often among all my other makeup base because it’s almost everything I want in a makeup base. For your reference I have a light-medium olive complexion with a combination skin. 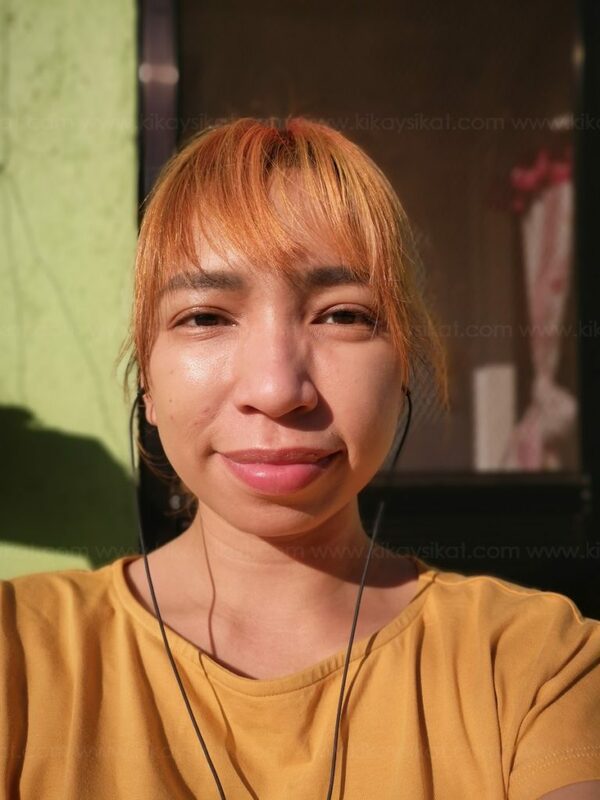 I have some acne marks on my cheeks and recurring acne on my t-zone (frustrating ikr). Packaging – Like its most BB cream counterparts, Canmake Perfect BB Serum is enclosed in a squeeze tube. The shiny pink design makes it stand out and it dispenses just the right amount out of its tiny hole. Coverage – Light to medium. 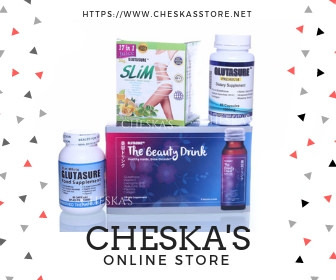 Do not expect this to cover your acne scars or spots. This has a dewy finish but no shimmer. Texture – Thick but easy to blend. I recommend using a half an inch, or the length of the first line of your ring finger to measure the perfect amount to cover your entire face. It feels heavier than their Canmake Mermaid Gel Sunscreen. Scent – Powder floral. Barely detectable. 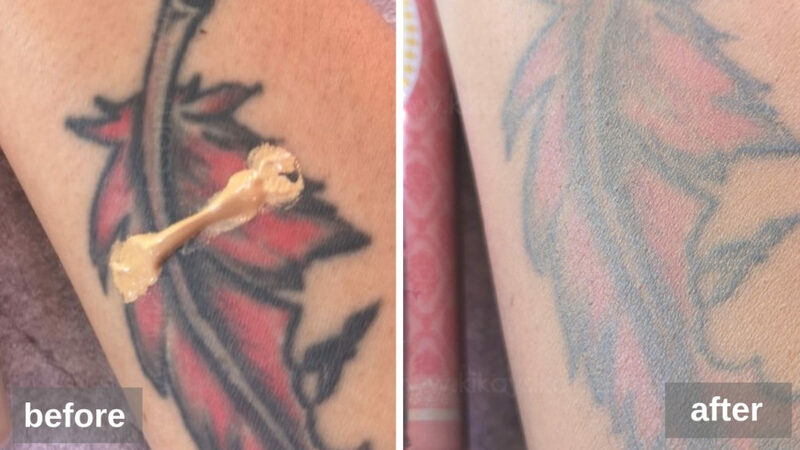 Longevity – Gets oily by the 3 hour mark, but the “oil” looks more like a glorious sheen than an unflattering bacon-smeared face (refer to selfie above). My face still looks even on the 5th hour. It doesn’t settle into fine lines or in your pores. But it can accentuate dry areas. Price – I’d say for 790php this is a mid-priced bb cream. It can go as cheap as 450php if you buy directly in Japan. Thoughts – This has become my default day cream if I want to look polished and protected. I can skip the sunblock and moisturizer because it’s a serum + foundation + sunscreen in the first place. I’ve been using this almost everyday even on events and it hasn’t broken me out. If I wanted more coverage on some parts I just put concealer on top. I only need to blot with a tissue when it gets oily. I’d gladly repurchase and recommend if you have a similar skin type as I do.